It’s a decision many successful agents agonise over; do you continue operating as a top selling agent working for someone else, or do you take the reins and become a principal? Husband and wife team Corina and Ryan Smith of Smith Partners Real Estate in Adelaide reveal why and how they made the switch from being successful real estate agents to owning and operating their own independent agency. In her own words, Corina outlines how the successful duo not only made the switch, but how they did so without an excessive amount of financial risk. And while it’s early days, a solid flow of sales and a new property management arm has helped give the business a firm foundation for success. Ryan began working in the real estate industry in 2004, starting out “at the bottom” as a property inspector in the property management department of a prominent boutique agency in Adelaide. In 2009, Ryan made the leap to sales and I joined him as his administration assistant shortly after. In 2011, Ryan was “head-hunted” by a local franchise owner. With the offer of a bigger commission split we were lured over to work for the number one office in a national franchise network. After seeing how differently things were done between these two agencies, we quickly worked out what we should and shouldn’t do if we ourselves were to ever run our own business. The boutique, family-owned business was the model we preferred, but for our own personal development, it was great to work for the franchise office of a national agency. At the boutique agency you weren’t allowed to send out any form of database letters or marketing without clearing it through their marketing department and management first. At the franchise, we were allowed to do whatever we liked – there were no rules except you had to pay for using the printer! This is what prompted us to take one of the first steps towards going out on our own – for a year before we left the franchise agency, we actually entered into a lease agreement with a copier company and had our own office grade printer set up at home. We converted our formal lounge and dining room at the front of our house into a home office, complete with two desks and our office printer. We were pretty consistent with sales numbers – each year we made around 40 sales per year. Owning our own business was never a goal for us – and was something beyond the realm of our wildest dreams. This was especially true since while we were initially working with the boutique agency there were so many things done for us we really only knew about and understood a small section of the business. The first glimmer of inspiration came from a client who was a successful business man in the area and who was actually the purchaser of our first million-dollar sale. He said to us from our first transaction that we should just go out on our own. He’d been in the market looking to buy for a while and had come across many of South Australia’s ‘top’ performers. He thought that compared to them we were more professional and more approachable, and his advice was simply that we had to be confident in ourselves that we could do it. We dealt with him for two other million-dollar-plus sales – the last of which was over $2.5 million, which earned us a commission of $30,000. Between signing and settlement, our client continued to try and talk us into going out on our own – to the point where he was going to be a financial backer and silent partner with us! After weeks of planning based on this offer, circumstances changed for our client and he had to rescind his generous offer. When this happened, we were absolutely devastated and it was then that we realised how much we had really wanted to run our own agency. When our client pulled out of financially backing us, we looked at other avenues, including approaching the state manager of the franchise we were working for about how we could get our own franchise in the area we specialised in. After jumping through hoops and hurdles, we were informed by this state manager that we were “not ready”. We’re not sure if there were other motives at play, but the whole experience left a bad taste in the mouth and turned us off of looking to any other franchise. In the end, we used the $30,000 commission from our biggest sale to get us started – no help from family, financial backers or even a bank loan… it was all us! Using the budgeting information we had gathered from our client and the franchise state manager, we ran estimates on the minimum expenses for us to have a small operation running from our home with just the two of us – just as we had been working for the past year or so. We also did analysis on our worst-case scenario in terms of income, in which we said even if we only did half as many sales as normal (e.g. 20 per year) then we’d essentially be in the same financial position as we currently were – given that we were splitting our current commission with our principal. In terms of advice from others, the main person we spoke to was our client and we trusted him because there really wasn’t anything in it for him. Of course, there was no risk for him either! But in the end we just had to back ourselves. Family were hesitant to support us because they could see the risks and they didn’t want to see us fail. Unfortunately, family never really get to see you “in action” in your workplace, so they didn’t really know what we could do. Ryan approached a former colleague who had recently gone out on his own on a much grander scale than we were planning. He didn’t give us much advice verbally, but from observing his example, we knew to start small. Ryan and I are always attending training sessions on real estate and we’re always eager to learn. Not to sound egotistical, I think this thirst for knowledge means that we seem to have a lot more “common sense” than the average person. We often look at other business owners in other industries and ask “Why don’t they do it like this?” “Why don’t they try this?” or even “That’s clever, how can we use that?” It’s just how our brains work – I don’t think it can be learnt in a book or classroom. One of the main hurdles in the process of making the switch was the secrecy part. As anyone in our industry knows, if your manager gets any inkling that you’re going to leave, you’re out of there straight away (at least that’s what it’s like in South Australia). If you’re not ready to hit the ground running, then that can be devastating. Our principal did approach us at one point and said he’d heard rumours we were going out on our own. We had no choice but to lie and then lay low until everything had settled down a little. It prompted us to get a move on so we could be ready to go if our principal ever said he knew what we were up to and wanted us gone. From horror stories we’d heard about other agents going out on their own, we were expecting a backlash from our principal. We didn’t end up experiencing any issues with him because we did things as honestly and as upfront as possible. We didn’t apply for our RLA until the day we’d given notice, we didn’t sign up any clients on our own paperwork when we were supposed to still be working for our principal’s franchise, we didn’t poach any staff and we were just going out on our own – this little husband and wife team. We weren’t a threat and so he wasn’t upset. In fact, he was almost proud of us! The other challenge we were expecting was a lot of hesitation from our clients to go with a small independent brand. Overall, our clients have been amazing. About 20 per cent have had issues and don’t support us. The other 80 per cent have been so supportive, and the first year of our business was all repeat business and referrals from our clients. This made our business enough profit to be able to fit-out and lease our first “real office” in our local shopping centre (not a cheap prospect as anyone who’s had to pay for a commercial fit-out will agree!). I honestly believe that Ryan’s progression from a property inspector, leasing manager, sales person to principal is the perfect way to do it. The only thing I would add is perhaps receptionist (or something in a customer-facing role) as the first stepping stone to gaining customer service experience. Working with a partner (if you can stand to work with each other) and also starting out small I would also recommend. Anyone considering going out on their own who has worked for five minutes in real estate sales, or even five years, unless you have some other really good grounding from your previous job roles, DON’T DO IT! You don’t know half of what you need to know and if you want to start out small and still be successful, you need to have a broad grounding of knowledge because you won’t be able to afford to pay staff to know it for you. An added benefit was Ryan and I have always worked well together – in fact we agree more on work-related things than we do about things in our home life! We are a ying and yang; I excel at things Ryan doesn’t and vice versa. Because we started out so small, the process was relatively smooth and seamless. There was a big learning curve with all the background bits and pieces around trust accounting etc., and having each other to bounce ideas off was very beneficial. I think being husband and wife rather than just colleagues or business partners means we’re more upfront and honest with each other too – we don’t look to not ‘step on anyone’s toes’ as most other relationships do! For the first few months it was just Ryan and I doing what we’d always done, plus some accounting and working from our own home as we’d done for the past year with our previous employer. 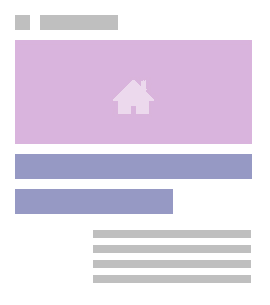 We did this to keep overheads down; our only expenses were our printer, our database system and access to realestate.com.au and RP Data. Ryan’s brother, Josh, specialises in IT and he was generous enough to work for free helping us to set up a professional website during those first few months. At the start of the New Year, we officially put Josh on the books as our IT & Communications Manager – and now that our company has grown, we have so many issues from day to day, it’s a blessing to have Josh working with us and we’re constantly throwing new tasks at him in our quest for continual improvement. Also at the start of that year, we’d begun to grow a property management portfolio – we had plenty of clients in our database that we knew had investment properties, so we just started making a few calls. At the same time, we invited one of our previous assistants who had covered me when I was on maternity leave in 2011 to come back for a couple of days a week to assist with some of the administration and database tasks, so I had time to focus on property management. A year later, we have one full-time and one part-time admin assistant, one part-time IT manager and we’ve just brought on an experienced property manager and two experienced salespeople and we’re hoping to grow the business even more. At this stage we’re very good at recognising when the workloads are getting to be too much and as long as it’s financially viable (e.g. we hired a property manager only after our portfolio income grew enough to cover their salary, and our salespeople are commission only), we look to hire more people. We only set short-term goals for our business – our own lives have changed so much from one year to the next that long-term planning never seems to stay relevant. Our short-term goals at the moment are around getting our new staff up and running and producing income, growing our property management portfolio and trying to get some recognition for the humble business and everything we’ve accomplished from so little. Ryan Smith began his real estate career in 2004 working with a leading Adelaide real estate company. Starting out in the property management department as a property inspector, Ryan soon worked his way up to leasing manager and subsequently was awarded ‘Leasing Manager of the Year’. Soon after, Ryan made the successful transition to a sales role. In his first year, Ryan achieved a ‘Rising Star’ award, and in the next year he achieved recognition for the sale of his first million-dollar property, being inducted into the ‘Million Dollar Club’. In 2009, Ryan invited his wife Corina to join him as his administration assistant so that he could focus on listing and selling - and The Smith Team was born. In 2011, The Smith Team made a big change and transferred their little team to one of Australia's largest franchises. 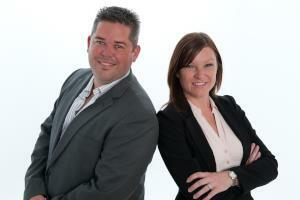 Ryan and Corina became the number one team in the number one office in South Australia. This background of working with a prestigious boutique agency and then a large franchise office has given Ryan and Corina the knowledge and skills required to go out on their own and create Smith Partners Real Estate.